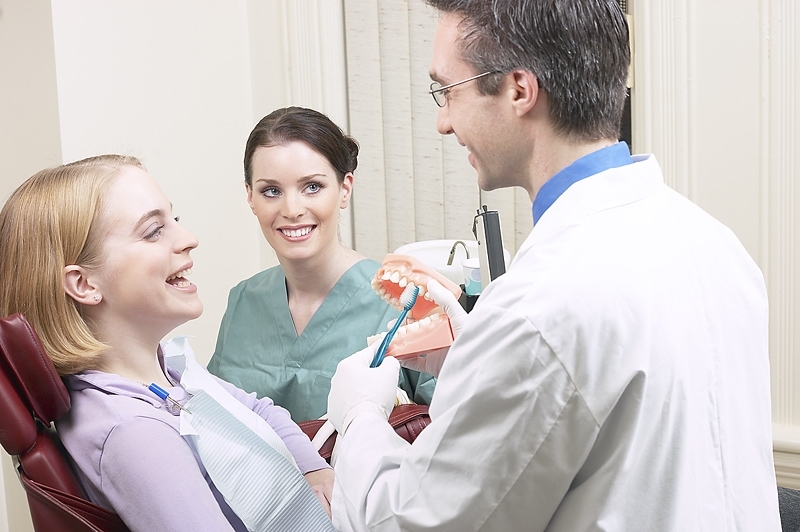 Many people see visiting the dentist as a hassle at best, while at worst it is something to fear. Plenty of patients simply stop visiting because for them, the negative aspects of going to the dentist outweigh the positives. This is obviously a problem for practices, as you want your patients to come back. Losing a patient also means losing all the people they might otherwise recommend you to, so it is something to be avoided whenever possible. But how can you help tip the balance in your favour, reminding your patients of the positive parts of their visit? One option is to invest in before and after treatment wallets. These might seem like a gimmick, but they’re actually an incredibly effective dental marketing tool. This is especially true if you have patients who have to go through extensive orthodontic work. These patients often end up leaving your practice, as having a lot of uncomfortable trips to the dentist can put them off for life. However, a before and after treatment wallet can make all the difference in persuading them not only to stay, but also to recommend you to their friends and family. The idea is simple: before going through any kind of treatment that will alter someone’s teeth, you should take a picture of their smile. At the end, take the picture again. Then you can put the two photos side-by-side in a wallet and give it to the patient as a memento. The idea behind this is that it will show just how far they have come since they began their treatment. Your patients can see what their smile looked like at first, so they can immediately compare it with how they look now. This can be great for their self-esteem, as a constant reminder of how they can be confident in their teeth now. However, it is also a fantastic marketing tool. Many patients think that there’s no need to go to the dentist because the effects it will have are only small. The treatment wallets are a constant reminder that this is not the case. It shows the dramatic changes for the better that dental treatment can make. They are also a good personal touch. Your patients are going to be much more likely to recommend you if you have provided them with this little memento of all the work you’ve done for them over the course of their treatment. It shows that you are invested in helping them achieve a smile they can be proud of. Often, the cards work best as a surprise. You should always get consent from the patient to take a picture of their teeth, obviously. You can even tell them it’s for a before-and-after shot, if they ask. But don’t make a big deal out of it. That way, it will be more of a surprise when you present them with the treatment wallet. When it comes to the design of the wallets, you should treat them like a treasured memento and plan them out accordingly. Your patients might want to keep them for a long time – especially if you are dealing with parents and photos of their children’s teeth – so you should make sure the wallets reflect this. That’s not to say you have to be incredibly formal – feel free to have a bit of fun with the design if you want – but it should be something your patients will want to keep hold of. Your logo and practice contact details should be printed on the before and after wallet so that it reminds the patient of your services every time they look at it. This also creates brand awareness for anyone looking at the wallet. They can often become a ‘talking point’ and patients who are happy and proud of their new smile are more likely to show the before and after wallet to family and friends. Often with lengthy procedures patients forget how bad their teeth were to start with, so the before and after wallet reminds them of the amazing transformation.